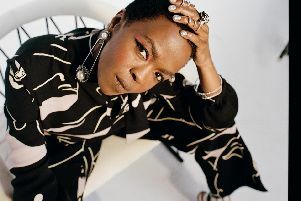 Her 20th anniversary tour for the legendary album The Miseducation of Lauryn Hill will come to the Fylde Coast Saturday August 24 in what organisers are promising to be a 'massive' return for the four-day event. Ms Hill will visit the UK for a host of dates this summer, also making the bill for Glastonbury 2019. It is a huge coup for those behind the Livewire event after an unforgettable inaugural year in 2017, which saw international acts including Will Smith & DJ Jazzy Jeff and The Jacksons visit the famous seaside resort and perform for a packed 20,000-capacity crowd. The event was cancelled last summer due to ill health but the spectacular was announced to return over the August bank holiday weekend at this year's season launch at Blackpool Pleasure Beach. A spokesperson for Blackpool Council said of this morning's announcement said: "We are delighted to see the return of Livewire. The 45-year-old singer and songwriter is the first pop superstar to be confirmed as a headliner. New Jersey native Ms Hill, former member of The Fugees, was one of the most famous musicians in the world, earning a reported $40m as her solo album went eight-times platinum in the US. The critically acclaimed album, earned a record breaking five Grammy Awards.